A 'then and now' of Messines (Mesen) as it appeared on 6 June 1917 after two and a half weeks of shelling, and on Google maps today. Aerial photography provided a new view on battlefield operations during the First World War. The photo below shows the devastating effects of two and a half weeks of artillery bombardment on German strong points and trenches on the ridge and village of Messines, Belgium. It was taken on 6 June 1917. Aerial view of the battlefield. Courtesy of Archives New Zealand, WA 250/40. 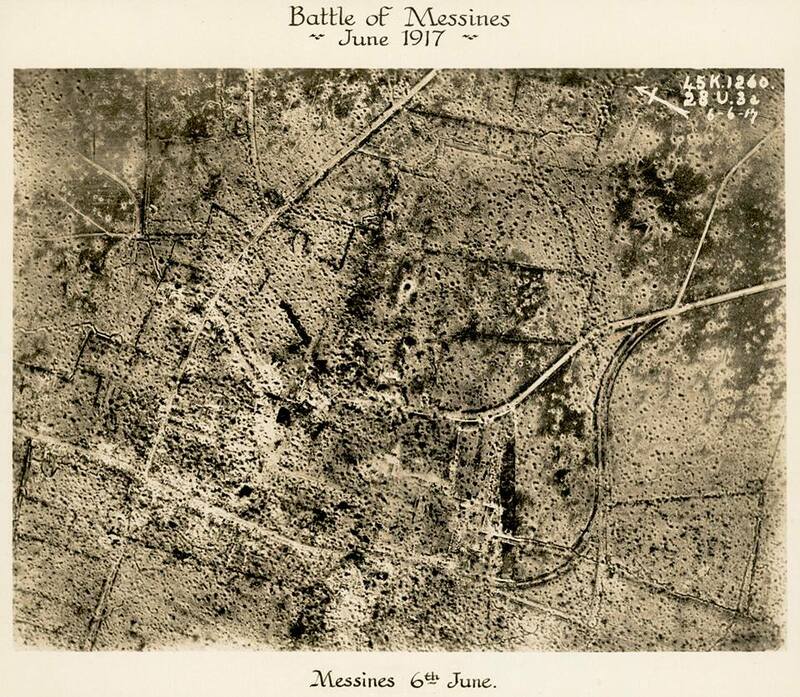 On 7 June a major attack was launched on Messines. The New Zealand Division played a crucial and significant role in the successful operation. Here is how the same location looks on Google maps today. And here is a video of then and now put together by Archives New Zealand.